on Saturday, July 19, 2014 and will run until Labor Day, Monday, September 1, 2014 in Bridgehampton, New York. 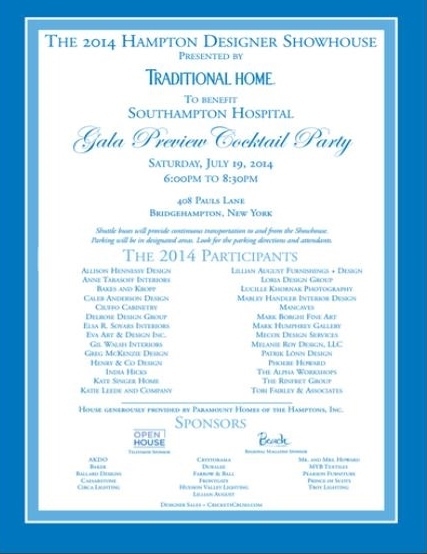 Proceeds will benefit Southampton Hospital, Southampton, NY. Mr. Jamie Drake and Ms. Alexa Hampton are the Honorary Design Co-Chairmen.